In a systems world, accelerated and enabled by information and communications technologies, finance, economic and trade systems, just-in-time productions chain, food production and distribution and research and innovation extend across an interdependent word. Humanity is confronted by an array of deepening, connected challenges which are of an unprecedented intensity and scale. They are truly global and in a process of rapid and dynamic change. Learning about systems causalities is changes our thinking. But the questions turns up, what it takes to make up for a good decision. In applying systems thinking methodology we searched for an answer and therefore started addressing the problem first. Systems Thinking, adjusted expectations and expectation management, resilience, coherent methods in action are tools for a new approach to solve global problems. Of course nobody can solve these problem alone. This is why cooperation is so important. This is why FAST was founded and is cooperating to advance Systems Thinking methodologies. The Friends’ Association for the Advancement of Systems Thinking has a clear goal in implementing an International Center for the Advancement of Systems Thinking an der Universität Koblenz-Landau. The association was founded on November 14th, 2018 in Koblenz and will be working on a non-profit basis. You can support the board-members: Eveline Lemke, Hans Bruns, Dr. Markus Beukenberg und Prof. Dr. Linda Breitlauch. Please contact FAST for support. Eveline Lemke is a consultant, lateral thinker and guide in the circular economy and Systems Thinking. 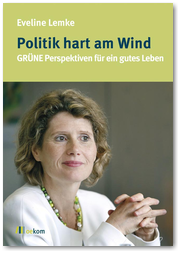 She initiated many sustainable projects as the first Green Minister of Economic Affairs and Deputy Minister-President in Rhineland-Palatinate until 2016. She is an expert in issues related to energy and raw material transition, as well as C2C (“Cradle to Cradle”) eco-design. Lemke is a member of the supervisory board of ABO Wind AG. Late 2017, she founded a competence center on circular economy issues: Thinking Circular, which is listed as a think tank on the United Nations Sustainability Helpdesk. Eveline Lemke is also chairwomen of the nonprofit FAST Friends’s Association for the Advancement of Systems Thinking.